A delightful book-centric video for you today! How Many Critiques Spoil the Broth? When an author is trying to find the right Genre to write in for a particular subject, is it profitable to listen to only one critique? The author who posed this question is in the discovery phase. Writers who read lots of books and have developed a love for many types of stories often have trouble deciding what to write. Often I receive proposals from new authors who tell me they have written, for example, romance, women’s fiction, and romantic suspense and want me to market all three. From a statistical perspective, that makes sense. Isn’t it more likely that three proposals going to thirty places will be more likely for at least one to find success than one proposal going to six places? Well, no. This is because authors are better off finding their writing passion and pursuing that with the best book they can write rather than researching and writing across the board. For instance, romantic suspense and contemporary romance have in common the fact that the story’s main plot point is the relationship between a modern hero and heroine. However, a romantic suspense writer must be willing to learn about police procedure and the law, but contemporary romance authors usually don’t because their books focus on different types of conflicts. There are days when it flows as free as the Rogue River (and anyone who’s ever been to Oregon knows that’s free indeed!) When ideas come so hard and fast you can scarcely keep up. When the words fly from your fingers, through the keyboard, and onto the page. When creativity happens, it’s electric, exciting, energizing. Did You Miss Today’s “News You Can Use”? Facebook. Twitter. Shoutlife. LinkedIn. Dopplr. Google+. Plaxo. Blogger. WordPress. Shelfari. Goodreads. Writer’s loops. Conference loops. Endless loops. By the time I finish updating my status, writing my blogs, tweeting, pasting my bulletins, my newest pictures, my URLs and YouTube links, recruiting friends, recommending friends, sharing reads, rating reads, ranking reads, ranking friends, tagging friends, responding to posts, responding to friends, responding to blogs, ranting, reblogging, re-bulleting, re-accepting (plants, gifts, pinches, bits o’ karma, flowers, flare, tickles, candy, drinks, siege warfare by angry goats and lil green patches–what the heck is a lil green patch anyway??) it’s time to repost my status–and respond to those responding to my status who are reading their walls, shuffling friends, organizing bookshelves, recommending contacts and waging mob wars. By then, the day is over. I have missed my hair appointment, my deadline and a conference call, needed to go to the bathroom three hours ago, blown off dinner, ticked off my friends (who live in town and did not check my wall to see why I never showed up), neglected my Significant Other, alienated my family, and defaulted on my mortgage. Kevin Olusola, “Celloboxing” – the talent of playing the cello and beatboxing at the same time. Give it until the one minute mark and then try to keep your jaw from dropping. So many resolutions. So many possibilities. So many dashed hopes. 2.) Buy more awesome clothes that go with red lipstick. 3.) Add to my collection of black pointy-toed spiked-heeled shoes. 4.) Increase my collection of black high-heeled platform shoes. Yes, more of these than ever before. This is actually a very selfish resolution. For when we do these things, the likelihood of being rewarded in kind is great. Okay, now, show of hands: How many of you make New Year’s Resolutions? Again, show of hands: How many of you KEEP them?? If you were here, watching me, you’d notice my hand is down. I’ve made hundreds of resolutions over the years, and I’ve broken almost every one. It took me a lot of years to understand that this fact doesn’t make me bad or weak-willed or a failure. It took me several more years to realize that the new year isn’t, for me, about resolutions. It isn’t about saying what I will and won’t do. 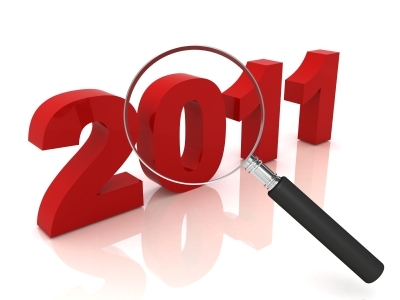 Publishing Predictions for 2012 – Various industry insider look into the Crystal Ball. Including Randy Ingermanson, Julie Gwinn, Steve Laube, Jeff Gerke, Chip MacGregor, Mary DeMuth, and Thomas Umstattd. Save this link and see who was right 366 days from today. Update the Copyright on Your Web Site – A good reminder! Christian Publishers Anticipate Global Growth in 2012 – Don’t forget that books sell around the world! Click through to read more. What is the Magic Price for E-Books? – Insightful article on the history of e-book prices and a bit of the economics that influence pricing. Lagging Movie Sales a Lesson for E-Books? – Fascinating parallel from some observations by Roger Ebert. QR Codes are soooo last year…. – Richard Curtis predicts 2012 will be the year of the “Snap Tag.” How many of you were just starting to notice QR Codes? And they are already passe? Why You Still Don’t Have an Agent – Jeff Rivera on the query letter. Then note his web site: HowToWriteaQueryLetter.com. It is a good exercise to reflect on the past year. Count the blessings, reflect on the hard lessons, and remember the good times. The highlight was bringing both Tamela Hancock Murray and Karen Ball into the agency in late May. I was and continue to be very excited about the talent and work these two are doing on behalf of our clients. That hard work had visible results as we secured sixty-four (64) new book contracts that will cover 113 new books. That works out to a new contract every four business days.